"Welcome to Southend Marina," the new Marina Moorings Supervisor called out to the Master of the big Cruiser that had just drawn up to an empty birthing spot connected to Southend’s Pier Head, with the Pier trains ready to take the new delighted tourists into town via Southend’s classy new Marina… Sorry, this was just a pipedream….. But, ask yourself, should it always be a dream, a wish – or possibly is there a new future for our Pier? Surely, this was why the Pier was constructed in the first place? Bring in the freely spending, wealthy visitors who could also enjoy flying in via London Southend Airport to collect their awaiting yachts and cruisers from the Marina to take them onto new adventures, allowing them to explore European destinations from a prime position at the mouth of the river Thames. The Pier was originally built to entice more people to visit a new and exciting destination. It needs people who can see it’s not just a decaying mile long finger sticking out into the sea, but a fantastic opportunity for the 21st Century as an exciting gateway. Once, our Pier was used to embark Troops and equipment during the Second World War, successfully moving many thousands of Allied Personnel, it helped to gave us the freedom we enjoy today. With the will, most facilities could be updated, the possibilities are endless. 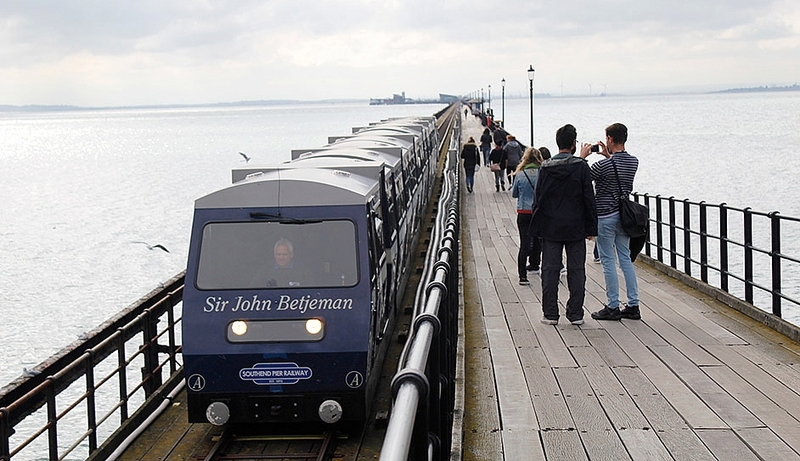 With Southend’s perfect location by the sea, it would be great for the Pier, hotels, leisure, night life, High street and the surroundings areas. A move like this would create countless opportunities for the town and the good, hard-working people based in this part of the world who have been ignored for too long! The age of the ‘kiss me quick’ hat is long gone, and the new age of ‘movement and excitement’ is now. Let’s all grab the opportunity and make use of this golden moment in our time.